Unless you have been living under a rock, you have heard all the rave about modern cloud technologies. Businesses all over the globe are now moving their data into the Cloud. In layman’s terms this means having your business data, website and email services on servers located offsite in a secure facility called a datacenter. Businesses can have their entire network in the cloud, or just segments of it. This depends on the individual benefits it can provide to your IT infrastructure. Although the general public has the correct idea about what the cloud really is, there are still a lot of misconceptions. It is a very common belief that cloud services for your business are less secure than in house infrastructure. It’s common that business owners and decisions maker think that having their information in the cloud means it can be accessed easier by criminals and hackers. They feel like their information is more vulnerable because of the belief that the cloud is more penetrable than an in house network. This belief couldn’t be further from the truth. Hosted services in the cloud are very secure and actually prove to be more cost effective for small to medium sized companies. Moving your infrastructure to a secure data center allows you to cut down on in house IT staff which saves money in the long run. Cloud providers are highly trained in multilayer network security and are experts at keeping all your data safe. Once moving into the cloud you can rest easy knowing that your provider is in charge of managing all or your critical security patches and updates. For the most part the security of your network is in good hands with cloud services. The next misunderstanding lies within data encryption. Whenever data is traveling from point A to point B across the internet it is encrypted for security purposes. This prevents eavesdroppers from being able to intercept your information. What some don’t understand is that data that is in storage can be encrypted as well. Most respected cloud providers have optimal security layers in place as well as data encryption. In order to unencrypt your business data you will need a customized decryption key specific to your business. Some cloud providers actually store the decryption key within the software itself, this is very dangerous if it falls into the wrong hands. With this key an attacker could compromise all your critical business data. 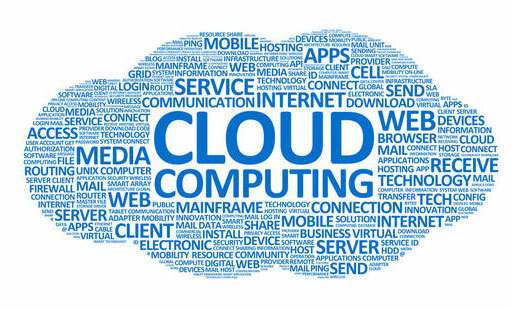 So when looking for cloud services these are some things to keep in mind. Certain providers offer tighter encryption security than others and it is very important that you look into this before committing to a provider. You must first understand not all encryption methods are the same and not all cloud providers use the strongest. There is also a common belief that once a company moves their infrastructure to the cloud, the provider is totally in charge of all data security. Businesses must realize that no matter where your data is stored, the end users are always the easiest and most vulnerable threat. You can have layers of the tightest security available, but your end users will always be capable of having their devices stolen, falling for scams and practicing unsafe internet use. No one is safe from threats to network security. Technological advances in the criminal world occur just as often as they do in the business world. All employees must be aware of this and be educated on safe network use. Just because your data is in the cloud does not mean it’s more secure.